I am a big fan of anything that has chocolate, coconut and nuts in it. 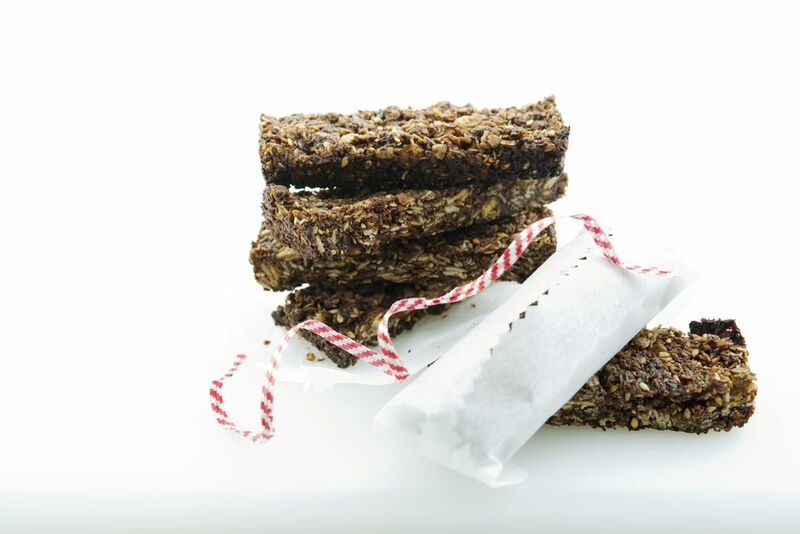 These no bake chocolate oatmeal bars fit the bill, and they're even somewhat healthy to boot. Made with coconut oil, rolled oats, honey, peanut butter, unsweetened shredded coconut, almonds and dark chocolate chips, these bars make a nice alternative to a candy bar. They make a great after school or lunch snack. Perhaps what's most appealing about these no bake bars is their varied texture; from smooth and rich chocolate to chewy coconut flakes to the salted crunch of almonds, there's never a dull bite. I like to use raw honey and an all-natural unsweetened peanut butter for these bars, but feel free to use whatever you have on hand. See the note for more info on unsweetened shredded coconut. Grease a 9 x 13 baking dish with oil or butter, or spray with nonstick cooking spray. In a medium saucepan, heat the peanut butter, honey and coconut oil over medium-low heat, stirring or whisking until smooth and well-combined. Remove from the heat. Stir in the oats, chocolate chips, coconut, almonds, and vanilla, mixing well until the chocolate chips are completely melted. Pour the mixture into the prepared pan. Refrigerate until the bars are firm. Cut into squares or rectangles. Store the bars in an airtight container in the refrigerator. Many people are in love with the taste and texture of shredded coconut. But when to use sweetened and when to use unsweetened? Most baking recipes call for sweetened, and unsweetened coconut is called for more in savory recipes. The most commonly available version in supermarkets in sweetened, and you should definitely check the package. The two varieties actually perform similarly in recipes, but obviously one is much sweeter. This recipe contains honey, and also is not intended to be super sweet, so try to find the unsweetened version. The coconut adds a nice, chewy texture.